Discuss the significance of the title. Does it give you any insight into Beatrice’s priorities throughout the novel? How do you think she would choose to identify herself? On her first morning in 1347 Siena, Beatrice goes to the Santissima Annunziata where she hears a prayer she remembers from Catholic school. 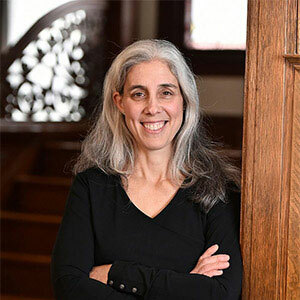 She says, “It was nice to hear the familiar words; that familiarity and sense of belonging across centuries was one benefit of religion.” What other benefits, if any, does religion offer the people of medieval Siena? Albizzi warns Iacopo that his knowledge places him in danger with the Confraternity. What makes Albizzi issue this warning? What does Iacopo know that places him in danger? Do you think that the members of the Confraternity have used Iacopo for their own means? If so, how and why? Why was Iacopo so willing to go along with the Confraternity’s scheme? Giovanni de’ Medici’s absences “provided a certain relief” for his wife, Immocolata. Why does Immocolata feel this way? Describe Giovanni. Did you think he had any good in him as a husband or father? Explain your answer. When Beatrice first sees Gabriele, she says that seeing him “as real as my own solid self, unnerved me.” Why is seeing Gabriele unnerving for Beatrice? What were your first impressions of Gabriele? Was he as you had pictured him? 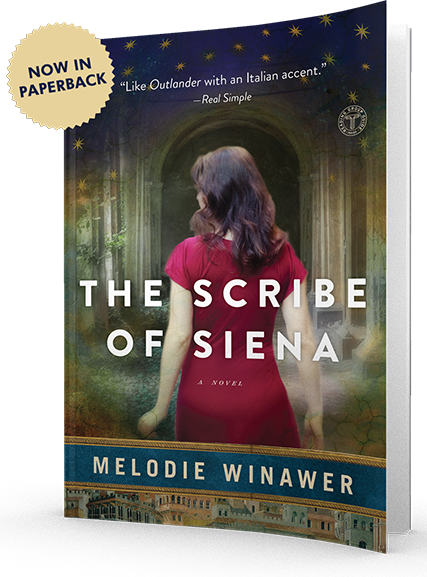 Beatrice says “oddly enough, I felt more at home in the scriptorium of the Ospedale Della Scala than I had almost anywhere in the past month, even in my own time.” Why do you think Beatrice is able to find refuge in the scriptorium? Describe Beatrice’s duties as a scribe. What benefits does working as a scribe afford her? Discuss the epistolary elements of The Scribe of Siena. Were you able to gain any additional insight into the characters through their letters? If so, what were they? How did the letters help further the plot? Describe Beatrice’s relationship with Gabriele. Did you think that they were well suited for each other? In what ways? Gabriele asks Beatrice, “What is a husband for, if not to comfort you?” What roles did a spouse serve in medieval Italy? Were there benefits to being married? What were they? In a letter, Ben jokes with Beatrice that “I try to get into people’s heads too, but my subjects are already dead.” Are there any ways that the work of a surgeon is similar to that of a historian? Describe them. Does Beatrice’s background as a neurosurgeon help her as she investigates the high levels of the Plague in Siena? Does her medical background help in any other ways in medieval Siena? What are they? Were you surprised by Gabriele’s reaction when Beatrice shares the truth about her origins with him? Why or why not? In her gratitude, Beatrice tells him “the last thing I’d imagined in return was sympathy.” Why does Gabriele correct her, telling her that he’s responding to her disclosure with “empathy”? How have Gabriele’s actions demonstrated that he is able to empathize with Beatrice? What effect has keeping her origins hidden had on Beatrice? Umilitá tells Beatrice, “The Pestilence has brought its share of regretful behavior in its wake, but I would not have imagined it from you.” Why does Umilitá believe that Beatrice has been callous toward Gabriele? Do you agree? Why or why not? Beatrice says, “I was beginning to realize that it was never quite safe to make assumptions about Clara.” Do you agree? What were your initial impressions of Clara? Did your opinion of her change? In what ways and why? Beatrice posits that Clara has been able to survive so long as an orphan because she has learned “to make her rescuers feel at ease.” How is Clara able to make her rescuers feel comfortable? Clara has also been able to survive by making herself indispensible. How has she been able to accomplish this feat? Compare and contrast Beatrice’s life in present day Italy and New York with her life in medieval Siena. What are the advantages to staying in each time period for her? What would you choose and why? Were you surprised that Beatrice made the choice she did? Beatrice recounts how she and her brother would visit the Cloisters on Sundays and how “the Unicorn Tapestries were always my favorite. This is probably true of all kids who visit the Cloisters.” Visit the Cloisters virtually and learn more about the Unicorn Tapestries. Discuss them with your book club. Why do you think that Beatrice liked the tapestries so much? Beatrice says, “I’m cautious about who I get recommendations from, but Nathaniel knows how to pick a book, at least for me.” Discuss how you get book recommendations with your book club. Go through your last few book club selections, taking the time to talk about whether or not you would recommend them to others. When Donata’s family gives Beatrice a Civetta scarf, she is overcome with gratitude. Why is the scarf such a meaningful gift to Beatrice? Do you own any objects that have particular significance to you? Tell your book club about them. The Bubonic Plague took a particularly heavy toll on the population of Siena. To learn more about the Bubonic Plague and the effects it had on medieval society, visit this link. to set up a Skype call for your book club!